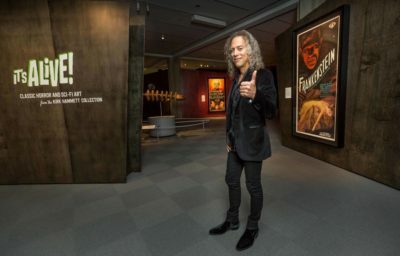 Kirk Hammett, lead guitarist of the world-dominating metal band Metallica and collector of one of the world’s most important collections of vintage horror and sci-fi film posters, is, by all accounts, a perfect gentleman. A rock star. The kind of professional and public figure who can hold a smile for hours, be gracious under pressure and even be nice to little kids. 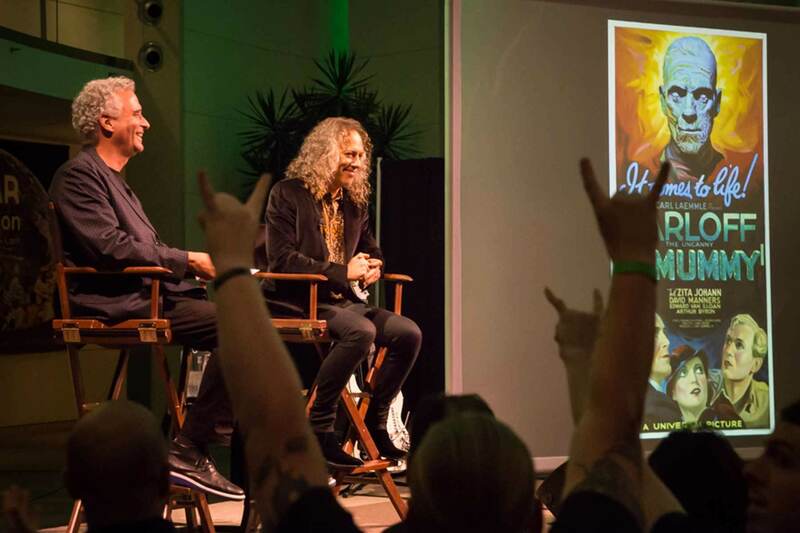 Recently, Kirk Hammett came to town for an action-packed 48 hour line up of events: a press reception, a patron event, an exhibition catalog signing that sold out in less than one minute and a public lecture that drew over 300 fans on a Saturday night. 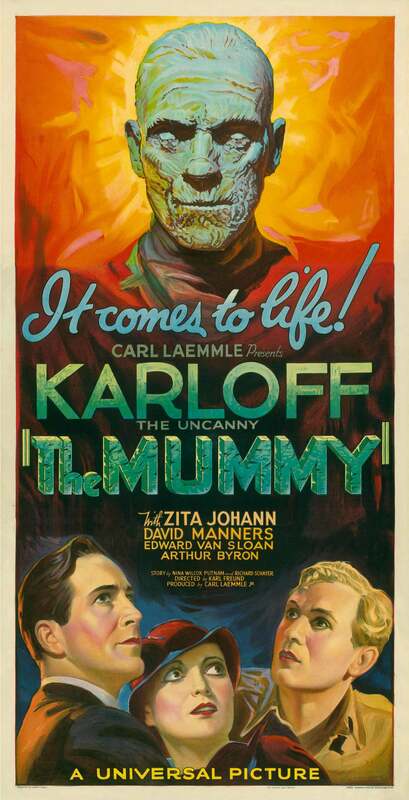 Attributed to Karoly Grosz, The Mummy, 1932, produced by Universal Pictures, printed by Morgan Lithograph Company, lithograph, 81 x 41 in. (205.7 x 101.1 cm). 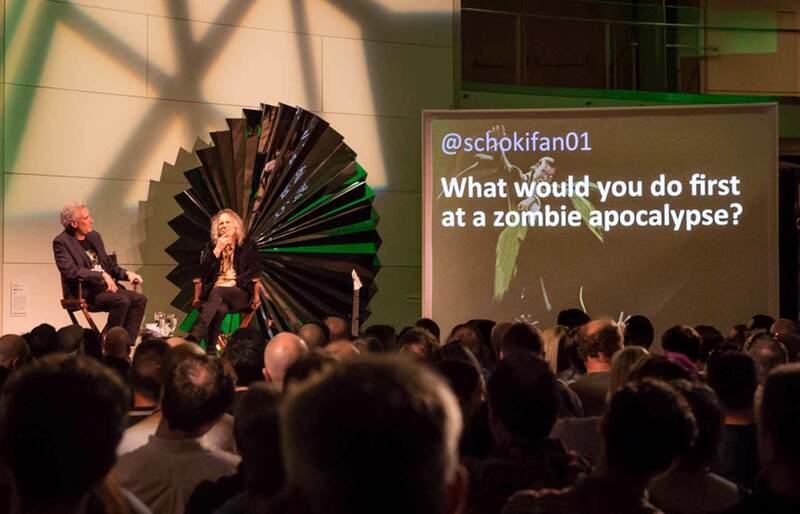 The Kirk Hammett Horror and Sci-Fi Memorabilia Collection. Courtesy of Universal Pictures Licensing, LLC. 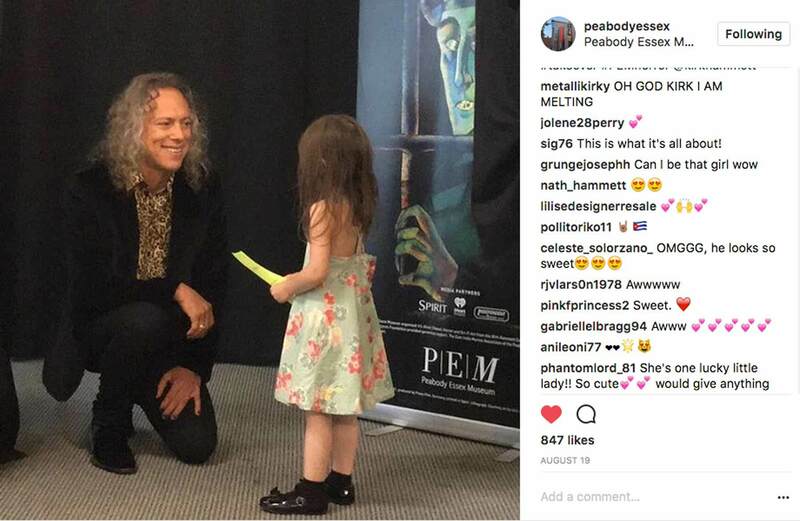 It clearly takes you through a journey that's very typical of most monster or horror films, where it involves a creature or some sort of protagonist or antagonist who sees a woman and decides to abduct or possess her and then goes through the motions of either seducing her or outright abducting her,” says Hammett. 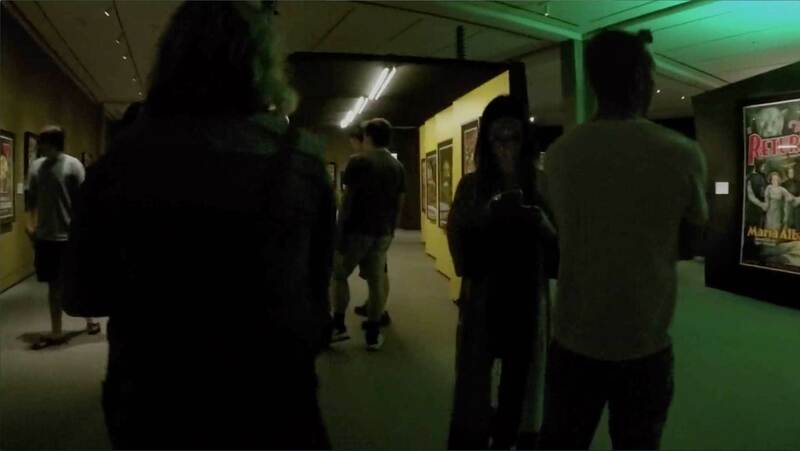 “It goes through a little bit of an attraction-repulsion sort of thing, a love-hate thing, but then, there's a definite period where the maiden needs help, tries to get away from the monster, and then the hero comes. 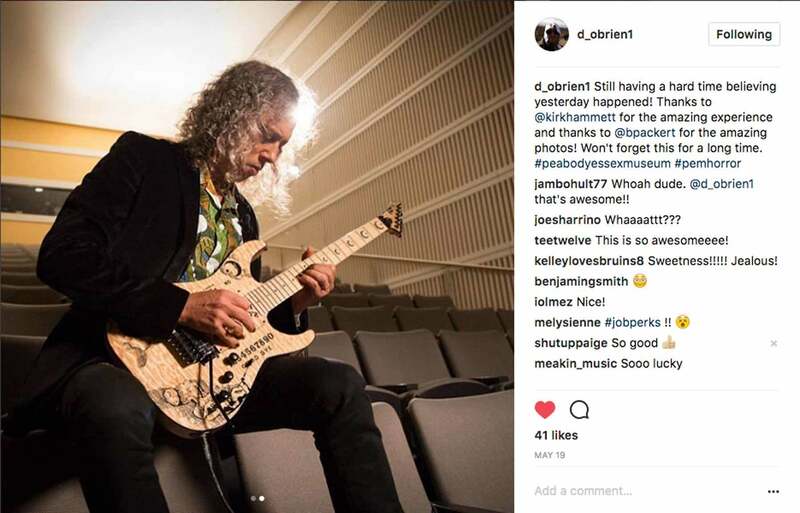 Later that evening Kirk appeared on stage to play Maiden and the Monster live at a special opening event for PEM’s East India Marine Associates (EIMA). 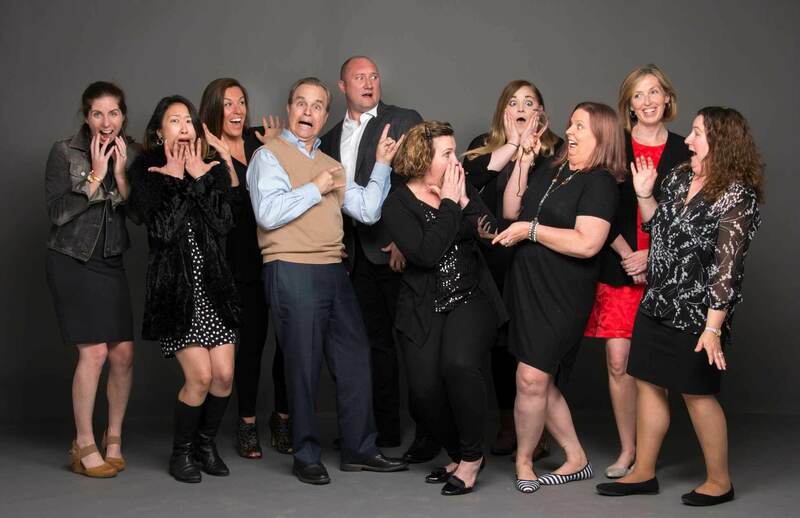 The performance was succinctly described by an attendee as “epic.” (To learn more about joining PEM at the EIMA level for these special opportunities, click HERE). 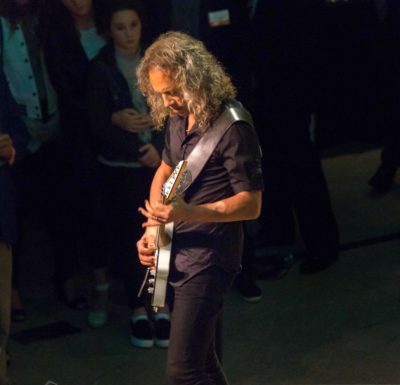 Marking a first in museum history, PEM’s exhibition catalog signing event with Kirk Hammett sold out to a 100 lucky fans in under a minute. 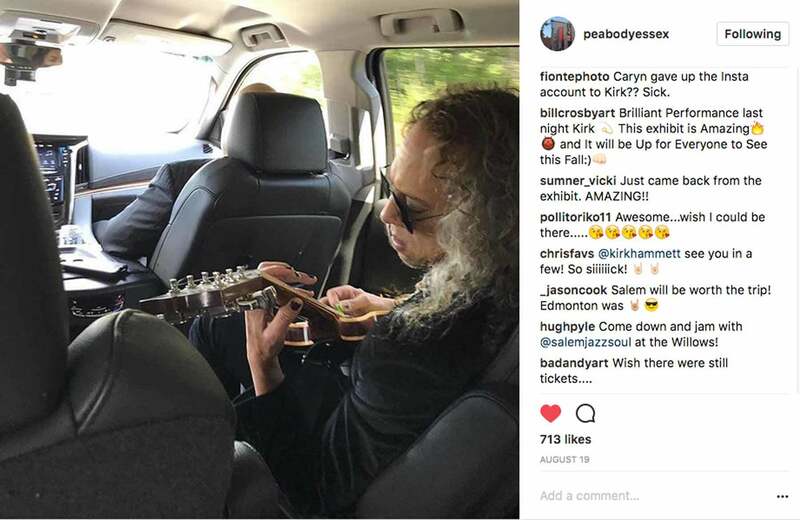 We knew Kirk Hammett’s fans were legion...but this was next level! 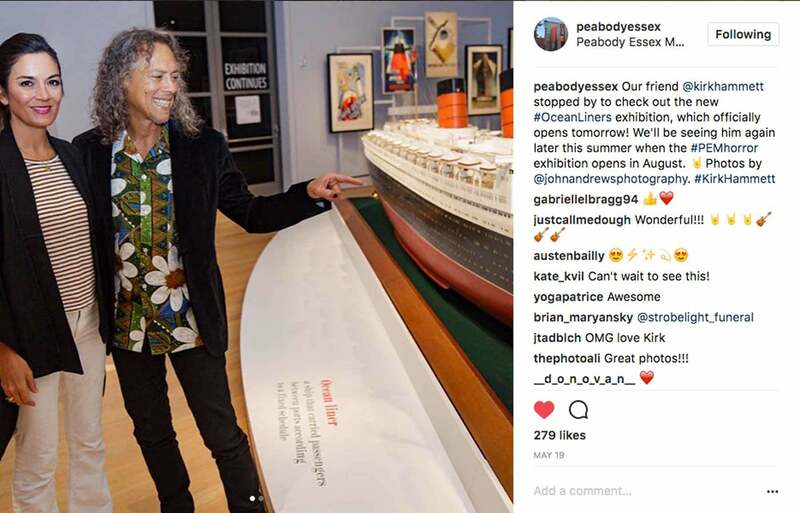 As a capstone event, PEM hosted a “Conversation with Kirk,” facilitated by the exhibition's curator Dan Finamore, which focused on illustration art, classic horror and how this collection fuels Kirk Hammett’s own creative energy. 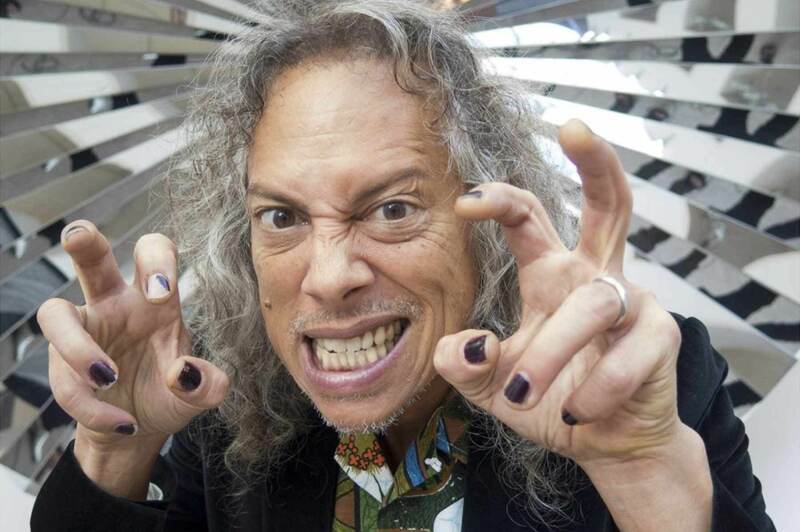 There was guitar playing, there was laughter and there were devil horns raised throughout the audience in celebration of the great collector and artist, Kirk Hammett.